Last year a hunter in my state was found dead at the bottom of a tree. He had a harness but he fell while transitioning from his steps to the stand. The same thing happened to a friend. He fell 15 feet when his top stick snapped. He shattered his leg but survived - thank God. These tragedies can be prevented by using quality, reasonably priced treestand safety products that are readily available. I use these products myself and insist that everyone that hunts my land use them as well. These products include newly designed harnesses, Lineman's ropes, 30' safety lines, and even a tree descender. Now read this carefully. We all think we're brave and tough. And you are, until you aren't. Don't be stupid. These products add 1 minute to your hunt and a small onetime cost. It's just a drop in the bucket compared to a medical co-pay or a funeral. 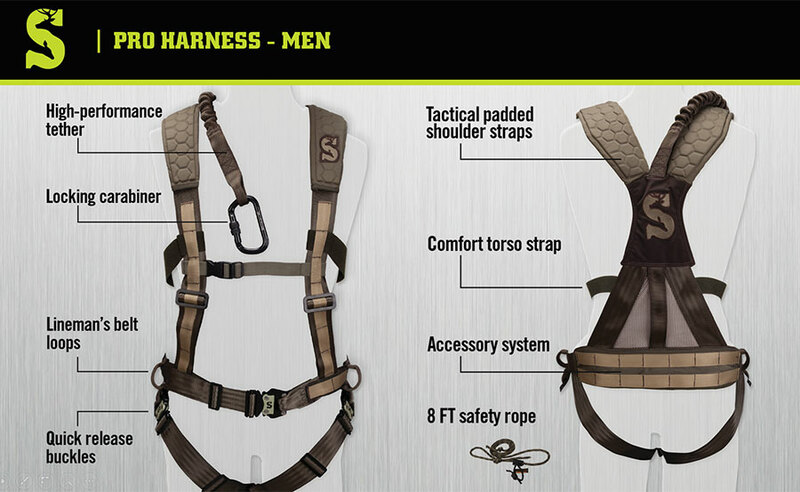 The core component to treestand safety is harness. There are several makes and styles on the market. If you own one, use it. 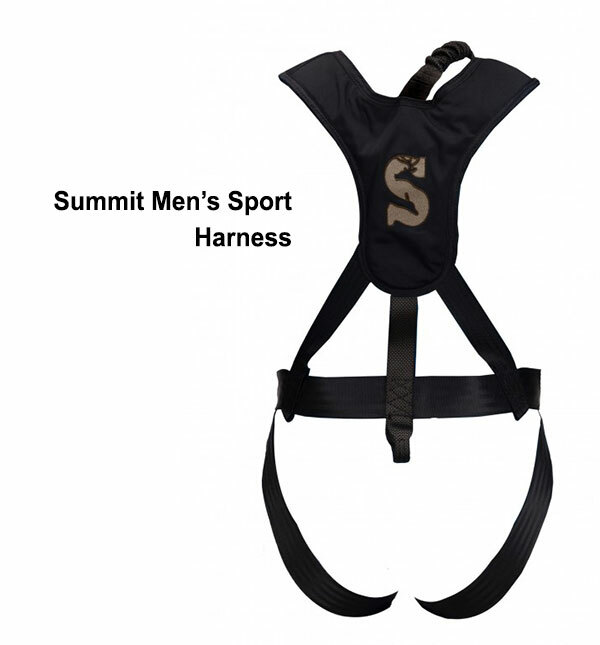 My favorite is the new Summit Men's Pro Harness which came out last year. New for 2017, Summit added a line of accessories utilizing a MOLLE attachment system. This allows you to customize your harness with items such as a padded storage pouch, a phone case, a call case, and accessory kit. If you prefer, you can just leave it bare-bones. It can be worn under your gear or over your gear. The choice is yours. The Pro model delivers a secure fit and supreme comfort and functionality, with padded shoulder straps, a performance tether, and quick-lock, rubberized buckles. It includes lineman's climbing rope and locking carabiners. When the weather gets cold I need a lightweight, no frills harness that will be worn under my heavy outerwear. That's when I prefer the Summit Sport model harness. It's the same quality as the Pro model without the MOLLE attachment system. It's also a few less ounces, and it's less expensive. All the same safety and quieting features are inherent in the Sport model as well as the Pro model. Summit has also created both a Pro and Sport model designed for women. My wife loves her Summit harness since it's cut to fit her body and is comfortable to wear over (or under) her hunting clothes. 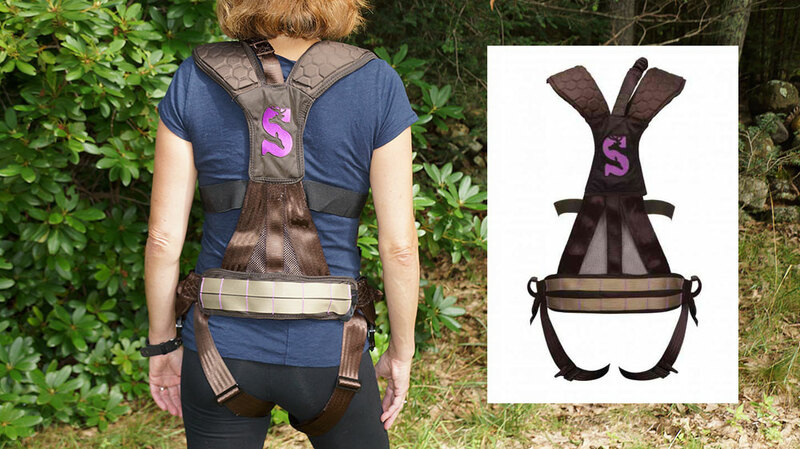 After you fall, the harness needs to distribute your weight in several areas. If it's concentrated in the crotch, you will be in severe pain. If it draws a sharp lateral crease around your thighs you could die from suspension trauma. One of the reasons I like the Summit harness is because it distributes suspension to multiple points. It is comfortable. This is important, since pain will induce panic and that's the last thing you need when you are in distress. Like many of you, I've hung hundreds of stands over the years. I've always worn a safety harness while actually hunting, but it wasn't until 2003 that I started using a harness to hang my stands. That was not only foolish, it almost killed me. I was 20' up the tree, hugging the trunk with my left arm while pulling the stand up a hoist rope with my right arm. The stand fell from my hand and that pitched me off the tree. I grabbed a branch on the way down, just in time before I gained momentum. I got lucky. Now, I am religious about wearing a harness attached to a lineman's belt when I hang stands. So here's how it works. You work your way up the tree with your tree steps and the lineman's rope moves with you. This frees up both hands. 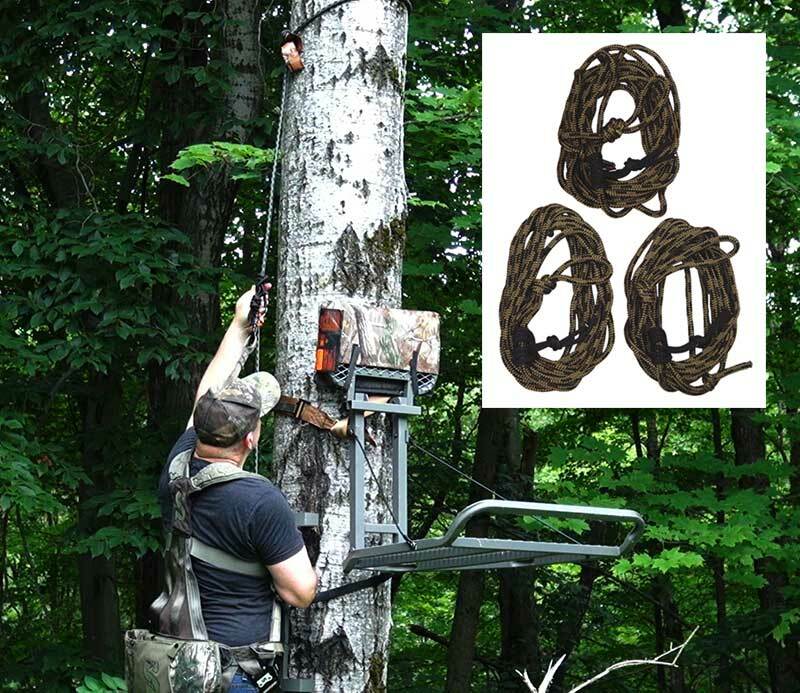 All Summit harnesses include a lineman's rope which can be used to hang your treestands. One thing that has become painfully clear - most falls occur during the transition from your steps, to the platform. That's why every hunter needs to buy safety lines. Summit sells them in single packs, or in 3-packs. Each rope includes a double prusik knots and two locking carabiners. I have one on every treestand on my property. The lifeline secures you from the ground, up the steps, and through the transition onto your stand's platform. It is essential for both hang-on stands and climbers. It gives you the security of knowing that if a climbing stick, or treestand fails, you won't hit the ground. They are inexpensive and we leave ours up all year long. Thanks to innovative companies like Summit, we now have a variety of inexpensive, functional, and well-designed products to keep us safe while hunting from a treestand. There is simply no excuse not to use them. But if you're still on the fence about whether any of this is necessary? ask yourself this simple question: Would you allow your ten-year-old child or grandchild to climb into a treestand without these products? I think we all know the answer to that question.